NWS Data based on US Zip Code location, NIST Data based on the Time Zone entered on the Device set-up/info page. Looking to Add-on and expand the capability of your system? Check out the enhancement opportunities here. 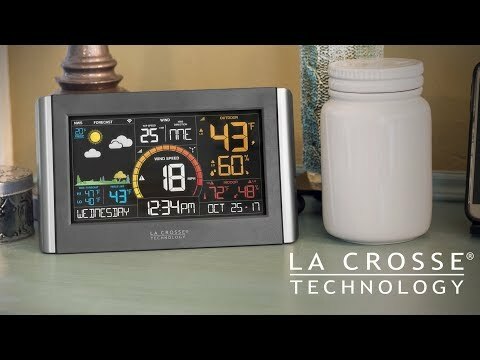 For help using the La Crosse View™ App or connecting your V21-WTH weather station to the La Crosse View™ platform, click on the appropriate link below. I bought the V21 to replace an older model with simple temperature/humidity sensors. The hardware was easy to set up and works great. The app hasn't given me any troubles despite the mixed reviews (I think some people just don't read the instructions). Nerd approved! Hail broke the wind speed spinner. Sensor mount broke. Had to scrap it within six months. Cheap plastic. - Hello Jim, We are sorry to hear that you had some issues with the devices. We shipped you a replacement set of wind cups for your wind sensor on 5/24/2018. If you contact our support team we can also send you a mounting bracket to replace the one that broke. When I first set it up, my wife said: "We aren't going to leave that in the kitchen, are we?" Translation: "We aren't going to leave that in the kitchen!" After we had it a couple of days (in the kitchen), she loves it! It's easy to read, is colorful and nice enough to display. I am buying another one for our second home! - Hello Richard, Thank you so much for your review. 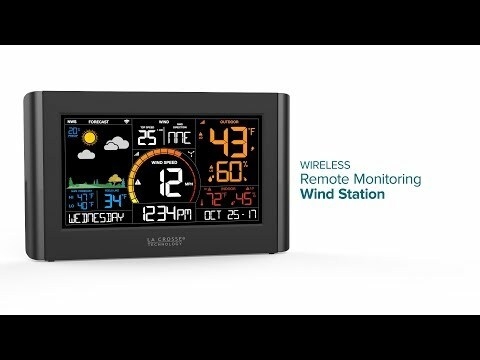 We really appreciate you as a customer and are glad to hear you are enjoying your weather station.